Do you want to start yoga or know someone who does? Embody’s beginners yoga foundation course is an excellent way to learn the basic principles of yoga and gain an appreciation of its many benefits. Join me for the next 6-week Beginners Yoga Course at Embody Wellness starting on Sunday 5th October. Over the duration of the course I will be guiding you through the fundamental yoga postures with an emphasis on correct alignment and proper breathing techniques. Once you’ve become more familiar with the basics you’ll be ready to attend open level classes with more confidence and explore a variety of yoga styles at your own pace. In this short video filmed at evolve, I show you how to use a yoga block to support your practice in Supported Bridge Pose. As someone with Spondylolisthesis in my lower back I find this particularly relieving and it helps to ease tightness I find sometimes occurs in this area, though this makes a wonderful restorative yoga pose even if you don’t have back issues. Resting the weight of the sacrum onto a yoga block provides wonderful support, and allows the entire length of the spine to be stretched. As well as being great for general lower back weakness, this pose also opens up the chest, as well as the front of thighs. I’d typically stay this pose for up to 5 minutes. Here I also show you how to take this pose into an inversion. This can be a nice alternative to Shoulderstand if, like me you have some neck degeneration too and you don’t have access to wall space to practice Legs Up The Wall. No matter how hold I get, September is always associated with ‘Back to School’. The move into Autumn symbolises a time when many of us feel we need to get our heads down and get back to work after the summer. And before we know it, our daily calendars are full to bursting (if they weren’t already, that is). I have an admission. I don’t like being busy. I like to be productive, to be effective and actually get things done. But, busy? To me, it’s overrated. I’ve increasingly noticed that whenever I say that I am busy the response is usually “that’s good”. And for a long time that was my response too. But why is that? We have more time-saving technology and services at our fingertips than at any other time in history, yet we all seem to be busier than ever. 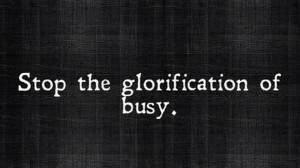 Some of us wear our Busyness like a badge of honour. But is there a problem here? Are we confusing busyness with effectiveness? Yoga teachers are certainly not immune from this. In London, where I live and work I see exhausted, scheduled to the hilt yoga teachers regularly. And I have fallen into this routine before too. For every class or client you guide through their yoga practice, you are giving your energy. So, there’s no surprise really that if you don’t take steps to replenish, it’s just a matter of time until you’ll burn out. However you spend your days, whether you teach yoga, work in an office, are a stay-a-home parent or anything and everything in-between, we can all work to burnout. But whom is that serving? From the point of view of teaching yoga, it’s tough to give your best in this state. The busier we are, the less time we have. Time is arguably our most valuable commodity and it’s irreplaceable. It’s a significant thing to lose. 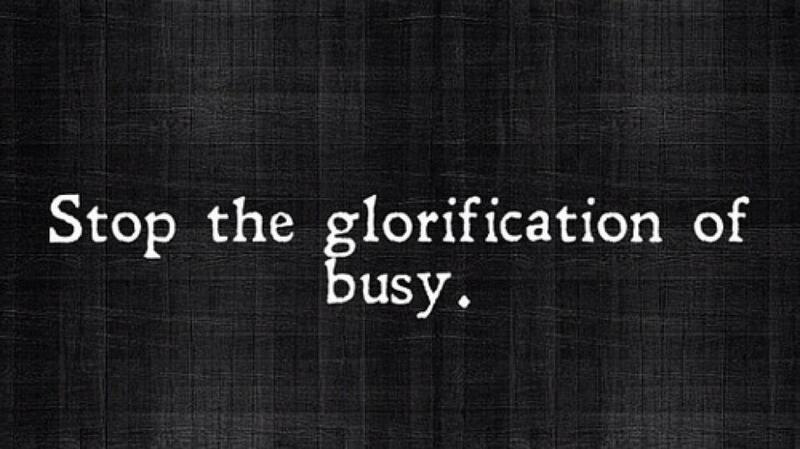 I think it’s time to stop worshipping at the altar of busy. Being busy for busyness sake or to attain more ‘stuff’ isn’t all its cracked up to be. What if we took another look and scrutinised what we are actually busy with? Try it and you might find there are things you can take off your to-do lists and lighten your mood and improve your wellbeing at the same time. Give it a go and notice the relief this brings. This was originally published in OM Yoga & Lifestyle Magazine. You can read a selection of my past columns and a FREE preview of the current issue of the magazine by clicking here. Click here to learn more about The 365 Savasana Project.